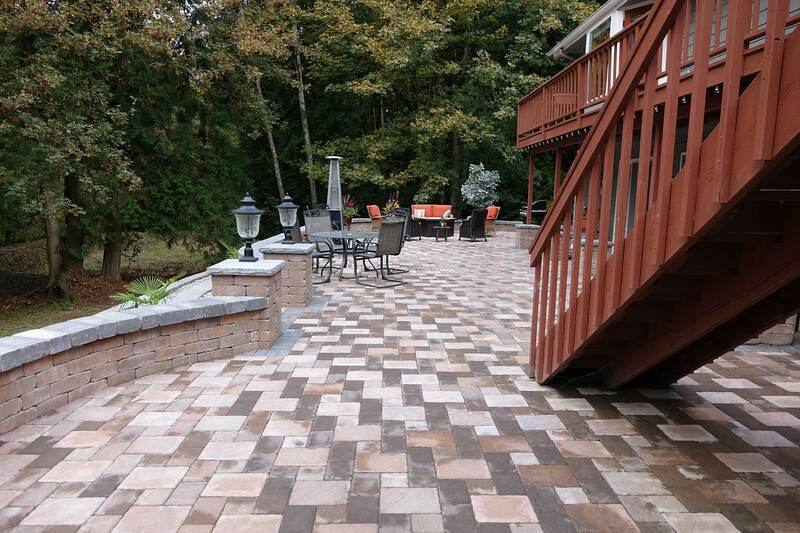 Using interlocking concrete pavers to create an exciting, durable driveway relies on a technique that the Romans used to build their roads.They are often used in walkways, patios, driveways, plazas and downtown renovations. Many homeowners desire the high-end look of stone on their property’s walks and driveways at more modest concrete prices. Several years ago we contracted with Dreamscapes Landscape and Design to install pavers and turf stone to replace our driveway. Jacob and his crew did a fantastic job. Two years ago when we moved to our new home we again went to Dreamscapes to install a Japanese garden and water feature. The result is a beautiful, functional, low maintenance space where we spend as much time as we can. Dreamscapes work has resulted in many compliments from our neighbors and several of our neighbors have contracted with Dreamscapes to landscape their yards. You cannot go wrong with Jacob and his staff.